The Neuroscience of the “Woo-Woo,” or, you can’t do THAT! In which I explore as many myths as I can about what we’re not “supposed” to do in coaching, especially in the business world. Enjoy. Ever wondered why some people seem to lose relationship connection when they are focused on getting things done? Or why some creative dreamers can’t seem to move anything forward? Ever wonder why you get some of your best ideas and “aha” moments in the shower or daydreaming on a walk? Well, guess what? Like many human mysteries, there is a brain explanation. The Default Network (DMN) and the Task Positive Network (TPN) are two distinct neural networks in the brain. The DMN is a network of brain regions that are active when the individual is not focused on the outside world and the brain is at wakeful rest. It’s called “default” because it is the network that is activated unless we are specifically engaged in goal-directed activity and external input, the realm of the TPN. Probably one of the most interesting aspects of these two networks is that when Default is active, Task is not. And when Task is active, Default is not. Part of each network’s function is to shut the other down. I like to think of the two networks this way: imagine your brain is a horse. 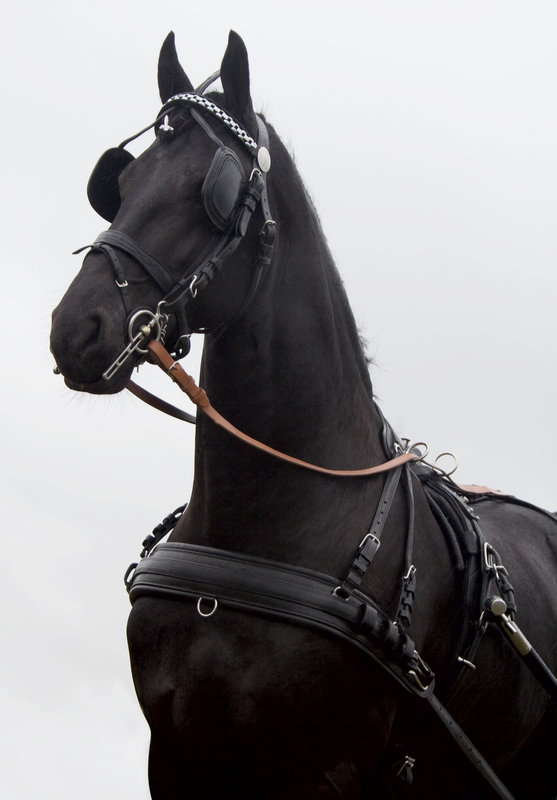 Task Mode is when you put blinders on your horse, hitch it up to a cart, and drive it forward. It just pays attention to what is right in front of it, and it’s main job is to DO. It’s not interested in anything that isn’t relevant to the job or task. Default, on the hand, is when you unhitch the horse (your brain), take the blinders off, and let it loose in a field with nothing in particular to do. 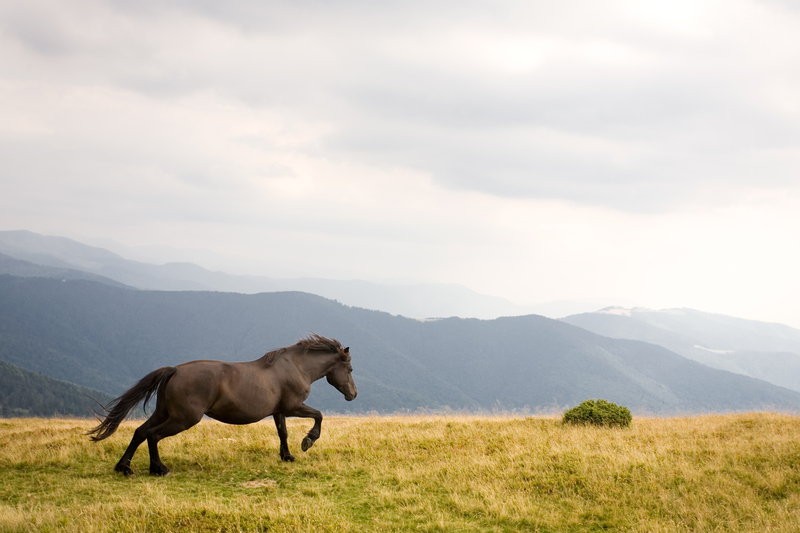 The horse, while roaming the field, finds many interesting things, often makes new connections between existing information (“aha” moments), and is able understand others and itself. In today’s busy world, most of us don’t allow ourselves enough Default Mode time, and it’s important. I really saw this when I was driving across country after taking my only kid to his freshman year at college. I was using my drive as a time to listen to an audio book, which meant my brain was actively paying attention to external stimuli. And yet, I had just dropped my only son off to his new adventure, and was starting a new one of my own. I realized that I needed to process how I felt. So I turned off the book and just drove, letting my horse of a brain wander in the field. After about half an hour, all sorts of metaphors came to me — I saw taking my son to college was like the end of a really really good book. One you don’t want to end. I cried a bit over that. Then I saw that now there were two books going forward. His and mine. And we were big characters in each other’s story in these new books, but not in the way we were in the first book. Giving myself Default Mode time really helped me integrate this big change, and by the time I got home, I felt much more ready to embark on my new life without a child at home. The “aha” moments that the Default Network gives us are precious, important, and don’t happen when we are focused on task. I find with my clients that this tends to resonate — we probably all need a bit more intentional daydreaming in our lives. Knowing about these two networks may help convince people to let their horses loose now and then to find the flowers and other treasures in the field.